Ralf GUM is producing music since 1993 and worked with notable artists such as Inaya Day, Beady Belle, Robert Owens, Kenny Bobien, Michael Procter, Wunmi, Concha Buika or the fascinating Monique Bingham. He released on and remixed for top house labels like Mn2S, Papa, Peppermint Jam, Tommy Boy, Compose, Sole Music, Look At You or Defected. His first remix for Defected’s classic record ‘Love is what you need (Look ahead)’ by King Unique instantly went to the 1 position on Traxsource’s download charts in March 2009. Ralf has released numerous well-known songs, amongst them the soulful hit of 2008 “Kissing Strangers” (GOGO Music) featuring Monique Bingham, which was a bestseller in its genre. Thus it scored the number 1 in the “Top 100 Singles 2008” and the “biggest house track 2008” in the annual chart of the ultra-credible Traxsource download-shop. Alone in 2009 Ralf’s works made it 4 times to the top spot in the Traxsource sales chart and he claimed various more Top 10 positions. But his success of course isn’t limited to the Traxsource charts. He had various #1 download-chart positions on Clickgroove, made it to the Top 10 sales of various other download shops and his single “Little W. 12th St.” was amongst the 10 best selling house-songs of the year on the Japanese download-site Wasabeat in 2009. His records are constantly receiving worldwide airplay and can be found in countless playlists of major radio stations including e.g. UK’s “BBC 1”, France’s “Radio FG” or South Africa’s “Metro FM”. Moreover he gained number one positions in the playlists “YFM’s Urban Top 40” or Botswana’s Yarona Mascom Charts where he stayed for instance for 4 weeks with “Complicated feat. Kafele” in May 2010. Further acclaimed hits of Ralf include “All This Love For You” (GOGO Music) featuring Diamondancer, “Ponle Tumbao” (Tommy Boy / Flamingo Discos / Milk & Sugar), “Helena Brown – Canção Dourada” (Peppermint Jam) or „Ralf GUM feat. Concha Buika – Nobody can touch me” (GOGO Music). 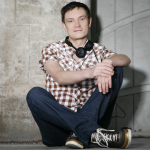 Ralf GUM’s productions became a worldwide renown trademark in the house scene and UK’S TTR magazine called Ralf “one of Germany’s finest” already in 2005. But Ralf not only convinces as a producer, but also his DJ-sets have helped him building up his reputation as an forward thinking tastemaker. During his career he had various residencies in South-Germany including the “Airport” (Wuerzburg /Germany), which was the living-room for his interpretation of house for more than 11 years. During more than a decade he captured the crowd with his sessions every Friday night and hosted other worlds-top artists like DJ Gregory, Martin Solveig, Lenny Fontana or Frankie Feliciano, to name just a few. End of 2006 Ralf started his residency at Climax in Stuttgart (Germany), where he can be found regularly since then. From 2002 till 2007 Ralf was holding a bi-weekly event at “Studio-Lounge” (Wuerzburg, Germany) which was called “the deepest and most soulful party of Germany” by the Subculture Magazine. In 2009 Ralf’s tight schedule included 2 extensive South Africa tours and Ralf was invited by DJU and the department of Arts and Culture to conduct various work shops at the Southern African Music conference. In 2010 and 2011 Ralf was selected again as international panellist for the annual Southern African Music Conference where he was teaching about music-production, label business, DJ-ing and more. Nowadays he is frequently found in various South African cities. As a DJ Ralf is steadily travelling and played at some of the best events around the world, including e.g. the “Southport Weekender” (Southport, UK), “Rave on Snow” (Saalbach, Austria), “Nature One” (Germany), “Sundaze” (Jakarta, Indonesia), “Dancevalley” (Amsterdam, Netherlands), “Mo’Vibes” (Munich, Germany) or the “Vodacom Unlimited Festival” (Orlando Stadium, Soweto, Johannesburg, South Africa) which was attended by more than 15000 people. He graced the decks at clubs like “360” (Dubai, UAE), “El Devino” (Ibiza, Spain), “Amika” (Miami, USA), “The Room” (Tokyo, Japan), “ECU / Echoes” (Rimini, Italy), “Garito Café” (Palma de Mallorca, Spain), “Disco” (Sao Paulo, Brasil), “Volksgarten” (Vienna, Austria), “House 22” (Pretoria, South Africa), “Days like this” (Birmingham, UK), “Barokko” (Budapest, Hungary) “Marula Cafe” (Madrid, Spain), “Soulstice” (Oslo, Norway), “Oxa” (Zürich, Switzerland), “Atlantis” (Basel, Switzerland), “Stereo Sushi” (Antwerp, Belgium), “Mansion” (Amsterdam, Netherlands), “GURU Club” (Tibisli, Georgia), “Pacha” (Palma de Mallorca, Spain) or “Cocoon” (Frankfurt, Germany). 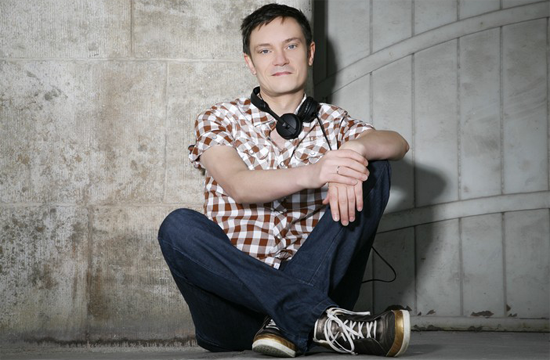 Ralf GUM embarked on the development of his own record label GOGO Music in 2001. With strong ambitions and his love for music being the driving force, GOGO Music has become Germany’s, if not one of world’s most reputable soulful house music labels. Late 2005 GOGO Music was called “one of the hottest imprints around” by UK’s leading magazine “Blues & Soul” and Germany’s “Subculture” wrote that “GOGO Music is the prime German house label”. In April 2009 Chicago’s best house music publication “5 Magazine” wrote, that “GOGO Music has become synonymous with the best Deep House produced in Europe” and 2010 UK’s magazine “SoulM8” certified that “GOGO Music is “one of Germany’s best independent labels”. With his label-work Ralf has been pivotal for the international breakthrough of artists like Raw Artistic Soul or Black Coffee and the discovery of many other outstanding talents. In 2003 Ralf initiated the GOGO Music radio-show. What began as a monthly show transmitted on one internet-radio rapidly became one of the most popular broadcasts within the house community and beyond. Since early 2006 the radio show is done on a weekly basis and is to date aired by more than 30 FM- and internet-stations around the globe. The GOGO Music radio show residents Ralf GUM and Benny Pecoraio (aka Ben Moss) plus few selected guests are presenting hebdomadal nothing but the finest house music in a pure one hour DJ mix. Next to his Ralf GUM productions, he started two further projects. “SUGAR BEAT”, is a collaboration with drummer Steffen Meder which developed out of their unique live performance: “Jazzy Live Drums & Uplifting Spinning”. With SUGAR BEAT’s irresistible sound a new broken beat style is being created. After some sweet remixes on GOGO Music, in 2006 the first own productions have been released on the “GOGO Music Spring Collection 06”. Together with soul-mate Benny Pecoraio, Ralf joined forces and started “4 Ears”. Their first release ‘Can’t Be Without You’ was signed to Canadian deep house label Iwanai Music and hit immediately the Traxsource Top10. During his career Ralf had the pleasure to compile and mix various CD-Compilations including for example “Arrival Vol. I” in 2004, a double Mix-CD together with Howard Donald (of famous pop-group Take That), for which they toured together all over Germany. As well in 2004 Ralf’s compilation “Studio – the finest in lounge and house music”, was released and selected as CD of the month in the December edition of Germany’s “Raveline” magazine. In February 2005 the first GOGO Music label-compilation “GO!” including highlights of the first 3 years label work came out. It was called the best compilation of the year by UK’S “TTR” magazine. In October 2006 the second part “GO! !” hit the market and achieved likewise attention and success as the first edition. In 2006 Ralf GUM held his first GOGO Music Winter Music Conference event in Miami with great success. With an impressive line-up including e.g. Kenny Dixon Jr aka Moodyman, Theo Parrish, Markus Enochson, Glenn Underground plus the GOGO Music DJs, the party went down in a storm and was one of the most talked about at the conference. 2007 saw GOGO Music teaming up with Atal Music and Bubble Soul for a joint WMC event at Hotel Victor, called “Yes Please”. With an equally great line-up including e.g. Jamie Lewis, Raw Artistic Soul and many others, it was a great success and the kick-off for further “Yes Please” parties: The critical acclaimed WMC event in 2008 at Sagamore and the ADE 2008 event at Mansion. More highlights worth to adduce are Ralf’s appearance at MTV’s “Battle of the DJs” in April 2003 and several invitations to the You.FM Clubnight , a show dedicated to electronic music and club culture, which was transmitted on the German national radio-and TV-station Hessischer Rundfunk (2 times in 2005, one time in 2006, 2007 and 2009). In 2008 Ralf GUM unveiled his long awaited debut masterpiece album titled “Uniting Music” on his label GOGO Music. Composing a continuous piece of music, seamless and blended into a luscious texture of soulful-, afro-and latin-house and jazz inspired grooves, Ralf showcased his ability to create wonderful original songs. With each song intertwining with another, he’s pushing the boundaries well beyond the traditional dj mix sense! Almost seeming like one beautiful track the whole album contained it all: really pretty dreamy tracks, some real groovin’ live sounding deals and some late night slices of hypnotic house, too. The album received great plaudit worldwide, as for example UK’s “M8” Magazine called the CD „simply one of the best albums of the year” and the German 3Sat TV show “Kulturzeit” wrote on its web-site that “no single second of the album bores”. “Uniting Music” was released by Rambling Records in Japan and by Soul Candi in South Africa, too. The hallmark of Ralf’s sound is his love for jazzy harmonies coupled with wicked underground beats. But the distinctive groove isn’t the only reason for Ralf’s success – his passion for all things soulful shines through in all he does. This helps him creating a simply irresistible groove every time he emerges from the studio or works the turntables. Due to his successful work in various areas there is no denying that Ralf GUM has established in the top-league of the most prolific dj/producers in the house scene.